In 2011, South Sudan gained independence after it seceded from its now northern neighbour Sudan. At the time there was much expectation that Africa’s newest country was set for an economic boom, which prompted some foreign companies – such as EY and Standard Bank Group – to set up shop there. Unfortunately, this optimism was short-lived. 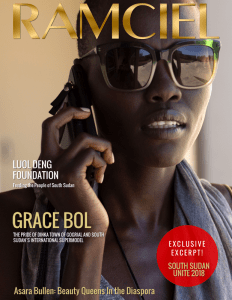 In December 2013 the capital Juba descended into chaos after President Salva Kiir accused his former deputy Riek Machar of attempting a coup, leading to intense fighting between supporters of the two leaders. Since then, parts of the country have been in the grip of a complex conflict that is said to not only be between government and opposition forces but also motivated by factors ranging from local power grabs to disagreements over cattle or food. 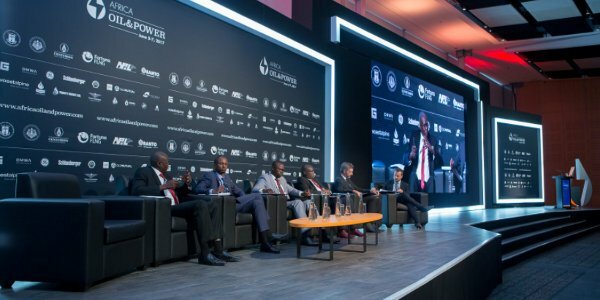 But South Sudan remains open for business, according to a delegation of businesspeople who participated in a panel discussion at the recent Africa Oil & Power conference, held in Cape Town. It was suggested that the news coming out of the country is not always reflective of the real dynamics on the ground. How we made it in Africa looks at some of the unexploited business opportunities in South Sudan, as highlighted by the panellists. South Sudan is the most oil-dependent country in the world, with crude accounting for almost the totality of its exports, and around 60% of gross domestic product (GDP). Oil output has fallen considerably since the conflict, with the northern oilfields currently producing an average of 130,000 barrels per day, down from about 245,000. The government has stated that it wants to boost production to 290,000 for the 2017/18 fiscal year. Despite oil being one of South Sudan’s most established sectors, there are still a number of opportunities for foreign investors to get involved. One of the areas identified at the conference is oil exploration together with related services and equipment, such as drilling rigs. There is also a requirement to upgrade the technology currently used by the oil industry, according to Mangok Khalil Mangok, CEO of oilfield services company Jubatech. He highlighted demand for improved technology in areas such as reservoir management and to boost the recovery factor of oil production. Furthermore, the panellists stressed the need for foreign oil companies to partner with domestic operators, as it is the government’s objective to boost the level of local participation in the industry. Moving goods into and within South Sudan is currently a slow and expensive exercise due to an under-developed road network, few border entry points, and insecurity. “If you can master end-to-end logistics in South Sudan, you will become a very wealthy business,” commented Chris Connolly, country director of security firm WS Insight. The logistics opportunity was also mentioned by Ayuel Ngor Ayuel, vice-president of oil producer Dar Petroleum Operating Company, who said his organisation needs assistance in terms of bringing equipment and materials into the country. Property is another potentially lucrative industry investors can exploit. Kris Mbaya, managing director for insurer UAP Old Mutual in South Sudan, said there is demand for office space and residential housing in Juba. For example, his company has invested in the 15-story UAP Equatoria commercial building and a high-end residential block. Investors should, however, be more cautious about backing hotels, as Mbaya believes this is a segment that has become saturated. Property companies could also consider providing solutions directly to oil producers such as Dar Petroleum, which in the near future will require new camps, office facilities, and employee housing. According to Chris Connolly, opportunities exist for foreign businesses to partner with South Sudanese companies in a variety of under-developed industries such as construction (building of roads), power generation (including renewable energy) and ICT (provision of internet and telecommunications services).